Why do these little comments about my children’s looks affect me so much? I KNOW they are mine and have my genes, for goodness sakes I carried them in my womb for ten months (they were all past due!) and I gave birth to all three naturally. The thing is it all goes back to my insecurities. You know, those little lies that creep up during unexpected times. You see, I grew up hearing people say to me, “You look just like your dad!” or “You sure do resemble your Mom,” but I knew that wasn’t the truth because I am adopted. I knew that I didn’t look like my parents. It is blatantly obvious to me that I am not biologically theirs, but God is gracious like that and he often blends families in such ways that to those on the outside there is no difference. And to Him (the Creator) there is no difference, we are family. My parents did not hide from me the fact that I was adopted. I don’t remember them sitting me down and having a deep conversation about how, when I was three days old my 16 year-old biological parents handed me over to a social worker and I was then placed in my parent’s arms and they brought me home and called me theirs. I just remember always knowing and I accepted it as being my story. But the puzzle of my life was missing pieces. My parents answered my questions over the years as best they could, but closed adoption cases are nearly impossible to get information. I wanted to know who I got my blue eyes from or my curly hair. Whose side of the family passed my freckles and fair skin on to me? Did I laugh like my mother? Was my body type from my father’s side? Were these two young teenagers still together? Were they still living in Wyoming? Did I have brothers and sisters? There were times I felt incomplete and alone because there were no answers. Sometimes I felt unworthy and ashamed, but God is faithful and He taught me about grace. I truly believe that because I accepted Jesus Christ as my Savior when I was young, and it is by God’s grace that I was able to look at my adoption in a positive manner. After all, God adopted me as His child. I’ve always held such respect for my birth parents. Having children of my own I can’t even begin to imagine how difficult it was to say goodbye to their baby girl, not knowing where she was going or if they’d ever see her again. And in my closed adoption, they didn’t even know whose arms I was being placed into. My heart aches for them and the pain they went through. I’ve always viewed it as one of the most selfless acts a human can do! 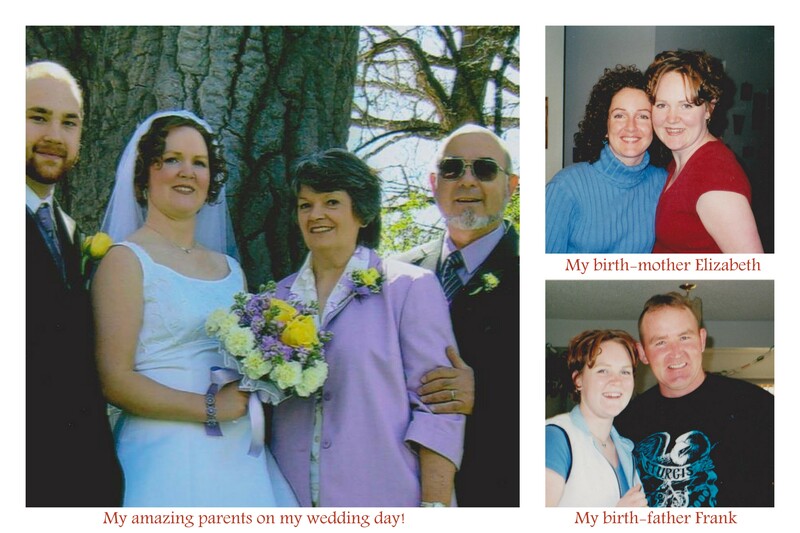 When I turned 18 I knew could legally search for my birth family, but I wasn’t ready just yet. A few months later my Granny passed away, my last grandparent, and I was deeply saddened. Then I realized that I had two other sets of grandparents out there somewhere. So the night of my Granny’s service I sat down and wrote a letter to my biological mother explaining who I was and that I wanted to get to know her. The next day, I addressed the envelope to Catholic Social Services and put it in the mailbox, having no idea what God had in store me. A month later, God gave me a key, a key to the door that unlocked my questions about my biological history. I received an envelope from Catholic Social Services that contained a letter my biological mother had written to me on my 18th birthday and sent to the agency, asking them to hold the letter until I made contact with them. The letter was addressed “Dear Angel” because she did not know my name. It was beautifully scripted, explaining how much I meant to her and that she wanted to meet me, in my own time. It was signed Elizabeth. That was the first of my puzzle pieces, her name! Due to some legal hoops, I didn’t know her last name or where she was living right away. But another month later, I was baking cupcakes and the phone rang. I answered it like any eager teenager answers the phone. On the other end I heard the sweetest voice say, “Hi Abby, this is Elizabeth, your birth mother.” I gasped and let out a giggle. She explained that she had been living in Arizona for over ten years. She was married, but had no other children. Through a series of letters, emails, and phone calls, I began to get acquainted with my biological mother, and she was able to get me in touch with my father. I learned that they had broken up shortly after I was born. My father’s name is Frank and he lives in the town I was born in with his two sons. My younger brothers! Snap, more pieces of the puzzle fit together. I made contact with Frank just a few weeks later, and only a month after that, on Thursday April 12, 2001, I, along with my parents (who supported me through this whole process) stood face-to-face with Elizabeth in parking lot of a local restaurant in the town where I grew up. The homecoming, if you can call it that, was magical. I embraced her 5’2” petite frame and looked into her smiling face and touched her curly hair. I felt comfortable in her presence, and talking with her came so naturally. She stayed with my family for the next two days. I loved having her be part of my daily routine. Two days later, my anticipation grew as we embarked on yet another journey to put pieces together. My parents, Elizabeth, and I drove two hours to another town in Wyoming to meet Frank. As I exited the car I was swooped up in a huge hug by a large, stocky man wearing a black Harley Davidson shirt and sporting a Mohawk! Despite his appearance, there was pure delight and comfort in his embrace and I felt his tears of joy touch my cheek. I was his baby girl, come home. As I looked into his blue eyes, I knew that I looked just like him! Before the day was over, Elizabeth took us to meet her family; my Grandma Carole, my two aunts and their families. We also met Frank’s side of the family. He is the 12th of 13 kids, and my parents and I didn’t make it five feet in the door before people were hugging me, crying, and saying “I’m aunt, uncle, or cousin so and so.” Over fifty family members were there to “welcome me home!” Overwhelming to say the least, but also truly amazing. None of these people had seen me when I was born and some of my cousins didn’t even know that their uncle Frank had a baby that had been placed for adoption, yet they welcomed my parents and me with open arms. That’s amazing grace, wouldn’t you say? Opening their hearts to a complete stranger and her parents and calling her family, just because she is biologically related and means so much to another family member. That day I experience boundless, matchless love, and kindness. Abby lives in Douglas, WY with her husband Ryan. 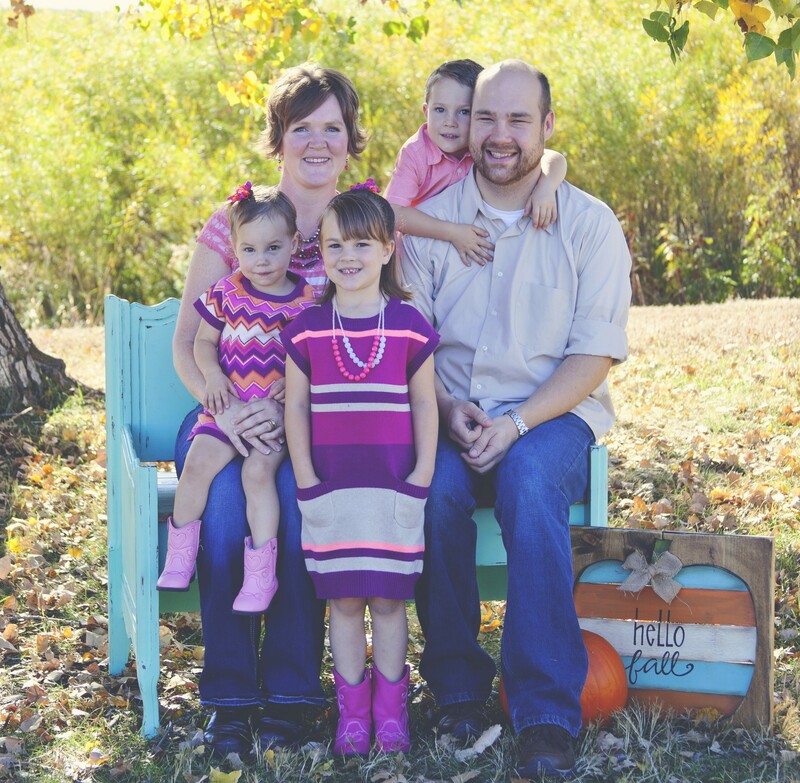 They have three kids, Natalie (7), Hudson (5), and Sadie (3). 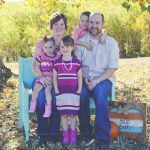 Abby is a homeschooling momma and Ryan is a nurse at the local hospital. 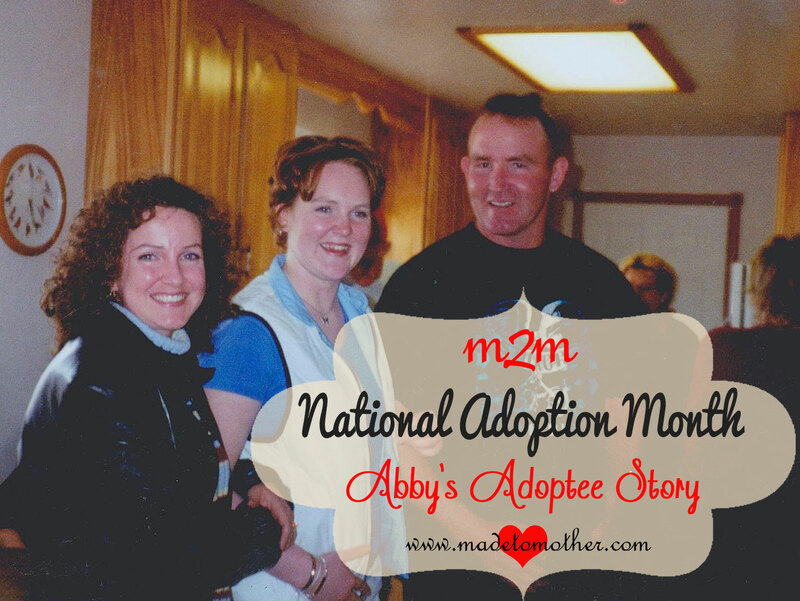 It has been 15 years since Abby met her biological mother and father, along with many other family members. They have been present at some of the most meaningful times in her life, including her high school graduation, wedding, college graduation, and the births of her children. Elizabeth resides in Arizona and Frank still lives in Wyoming. Although there are miles between them, their relationships with Abby continue to be strong and steady.